Ronald Fletcher Baker Solicitors is a Legal 500 full-service law firm with offices in the City, West End of London and Manchester. 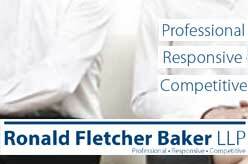 Offers expert advice for corporate, domestic and international legal services. Home Divorce Lawyers David du Pré & Co.